Ironbark Gully Heritage Association Inc.
To manage the protection and restoration of the property at Ironbark Gully, Tarnagulla, built by William and Celia Grey in the early 1860s. For more information email the Public Officer, Ken Webb. The Association is also looking for persons (descendants or otherwise) interested in becoming members of the Assocication. As well as restoring the cottage we intend to try and recreate the outbuildings (toilet, dairy, blacksmith shed and large dog kennel, which was made of mud/timber and roofed with kerosene tins, also the dams fences garden and orchard. 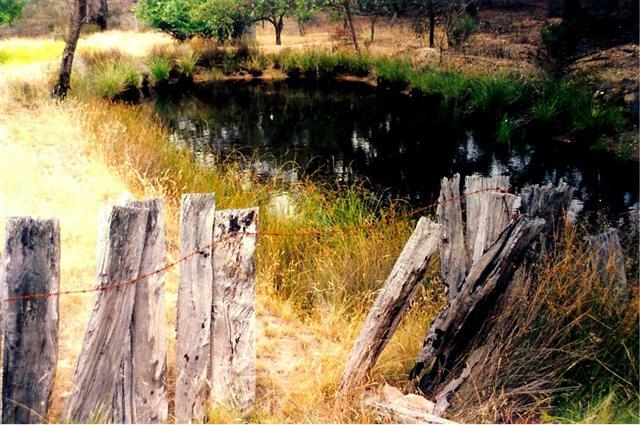 The land was granted as a Miners right and has remained in the Grey family until the transferring of the lease to the "Ironbark Gully Heritage Association Inc."
We are also searching for any information or photo's etc of Ironbark and Nuggety Gullies including any information on other residents, buildings etc. The following are a few photos and a history of the cottage and families. 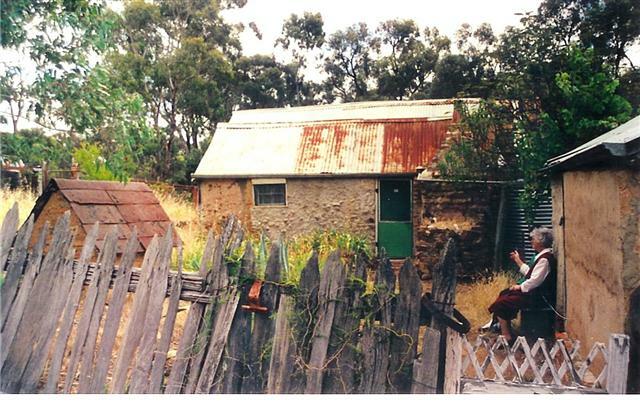 The rear of the house (taken 1962 and has deteriorated since). The couple who built the old cottage, used wattle and daub methods in the rear four rooms which we believe were built first. 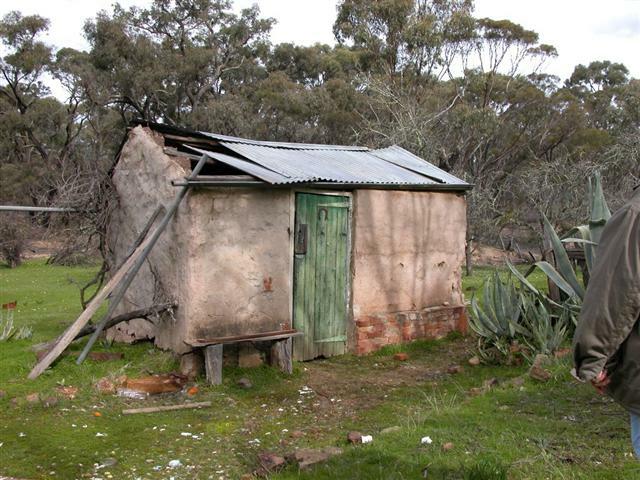 The front two rooms were added later using more conventional methods; a rough timber framework packed with mud and stones, lined with newspaper. These two rooms also included the front verandah were butted up against the front walls of the earlier rear and four smaller rooms. William Grey of Hawkhurst, Kent born 1831 married Celia Eastwood of Ticehurst sussex at the Trinity church, parish of St Mary, Newington in the county of Surrey on the 3rd May 1858. They travelled to Australia in January 1859 aboard the ship "Great Britain" with the intention of making a fortune from gold and then heading back to England. This as many others found was not as easy they believed, and William took up taxidermy, he either had some former training or just had a knack for it as he was very good at this profession, after his death at Tarnagulla in 1901 a glass case full of stuffed birds was acquired by the Tarnagulla school and is still on display above the blackboard. At least one other larger glass cabinet full of local birds is still in existence. - Harry Eric born abt 1907 .